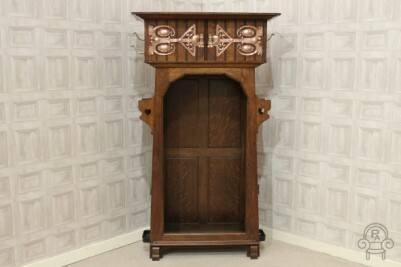 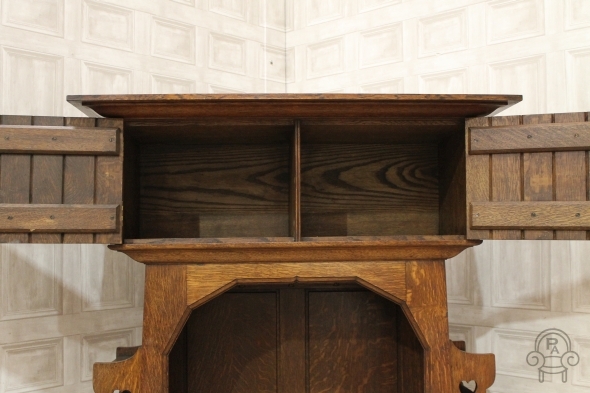 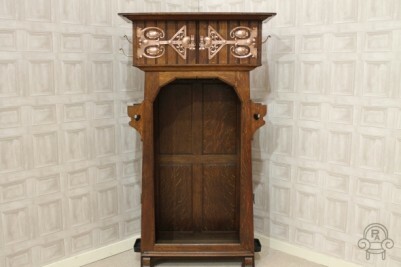 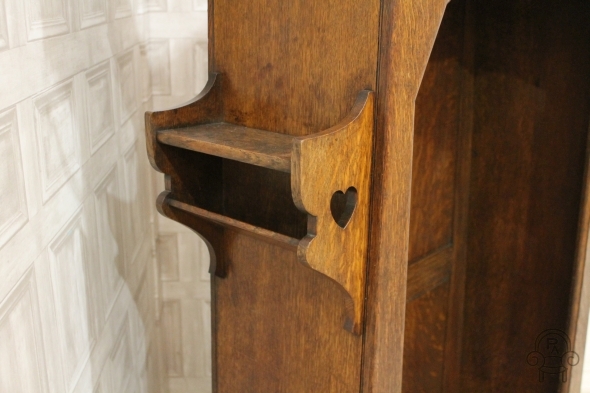 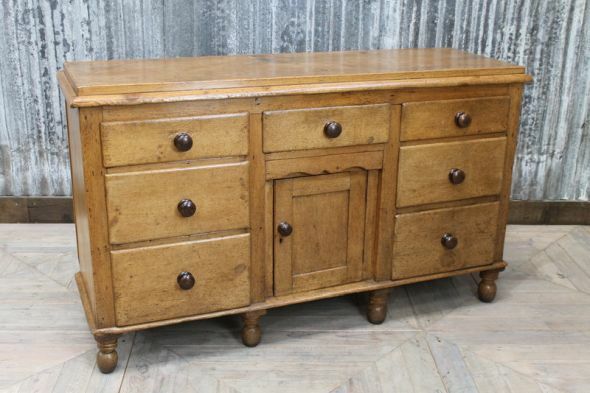 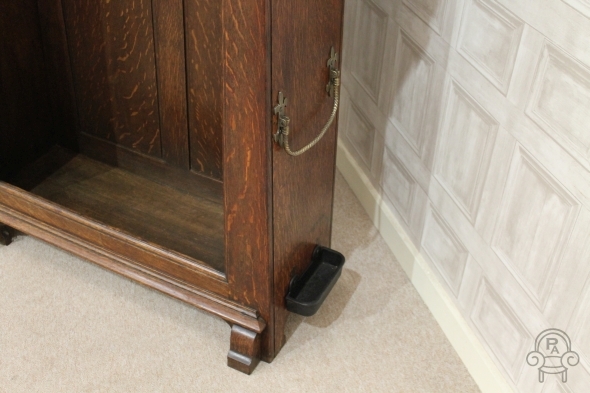 This oak hall stand is an outstanding item of quality solid oak Arts and Crafts furniture. 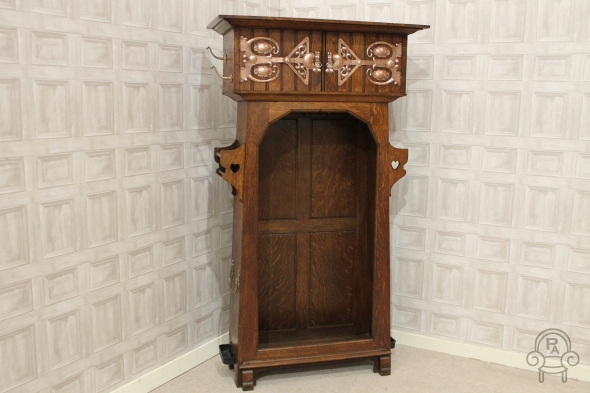 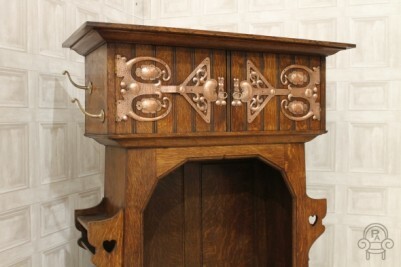 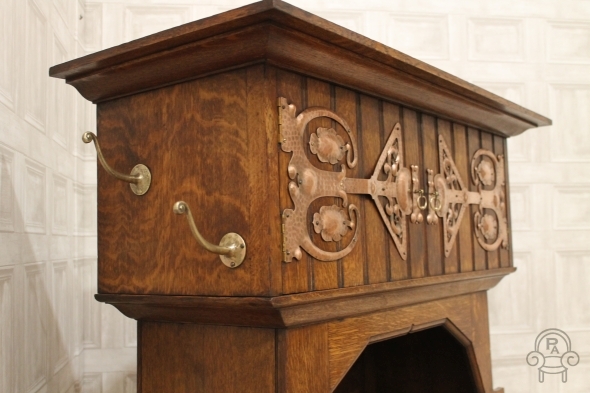 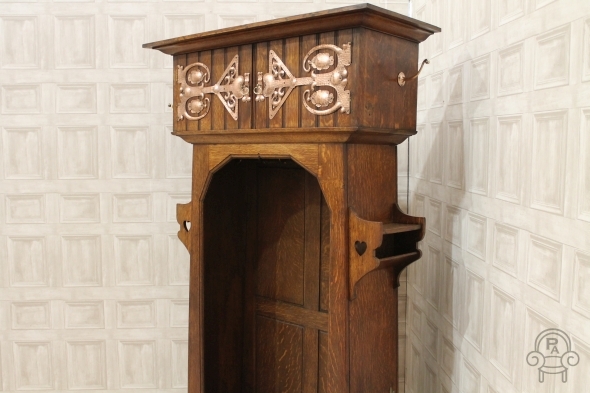 This beautiful piece is highly embellished with copper fretwork and a has heart design; it has all the characteristics of a Liberty and co. piece of Arts and Crafts furniture. 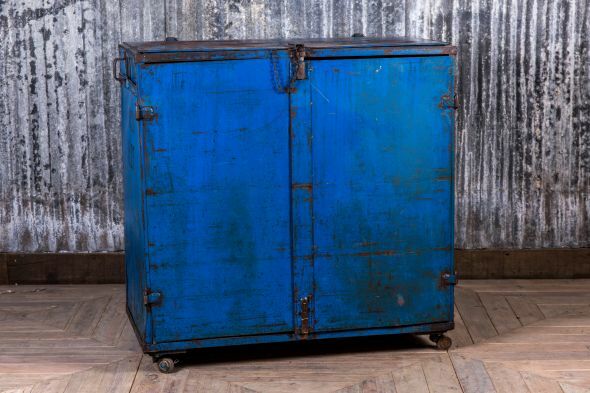 The item has a large double door cupboard to top with brass hooks to either side, but unfortunately one hook is missing. 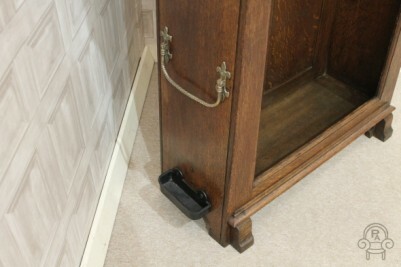 Below the cupboard there is an open space with internal hooks for jackets, coats, hats, etc. The open space is flanked by two lift-out umbrella/walking stick supports with cast iron drip trays to base. 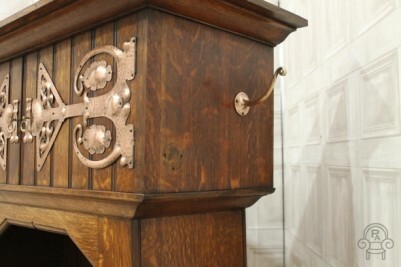 Originally there would have been a curtain to the front of the opening. The original internal brass rail is still there, but we have not fitted a new curtain because everybody’s design, style and tastes are different; however, this could easily be added. 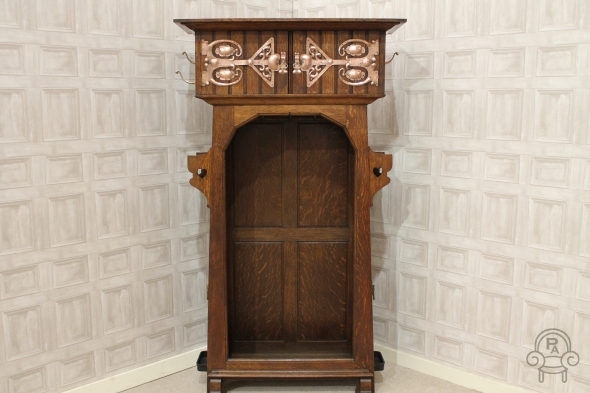 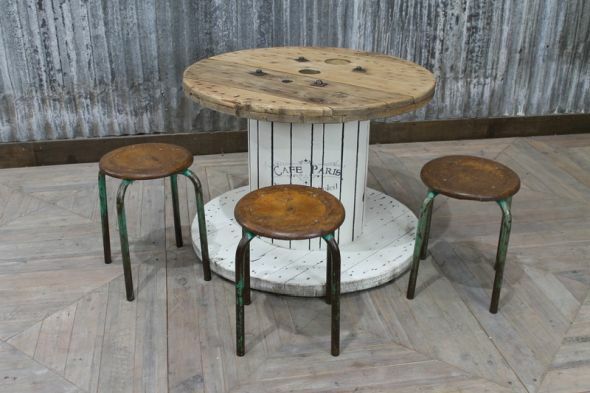 We believe this item of furniture dates from circa 1900, and the piece is in excellent condition for its age. 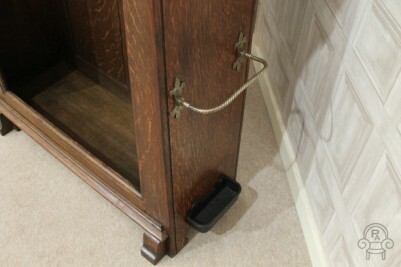 The item will break down into two individual pieces for ease of transport and assembly.